Today is the birthday of one of my Great Great Grandpas, Leonhard Heinrich Schott. 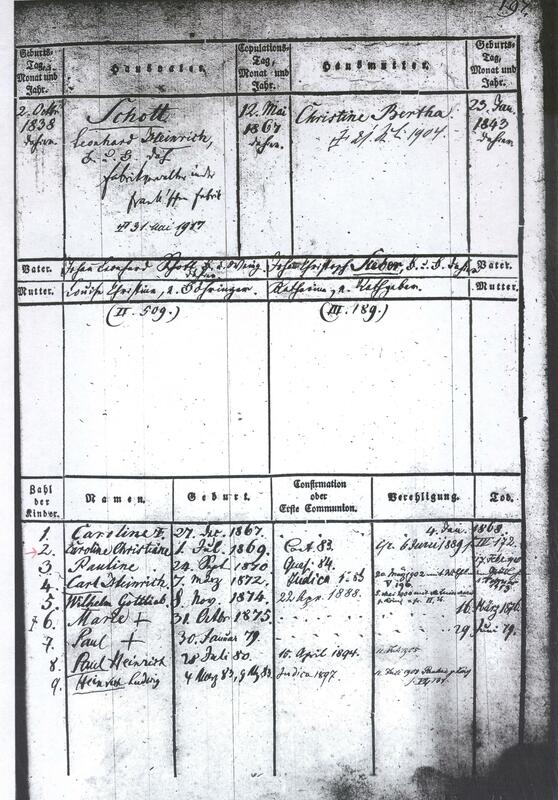 This is what a birth entry looks like in German church records. His entry is #52 that year, it tells us his parents are Johann Leonhard Schott, farmer and wine grower, Evangelisch, and his mother is Luise Christina (maiden name) Böhringer, also Evangelisch. He was born in Grossgartach on 2 October at 2 o’clock in the afternoon, christened on the 7th of October at the church. The Pfarrer, or minister was named Bächler. It also lists friends and family members who were witnesses at the christening. 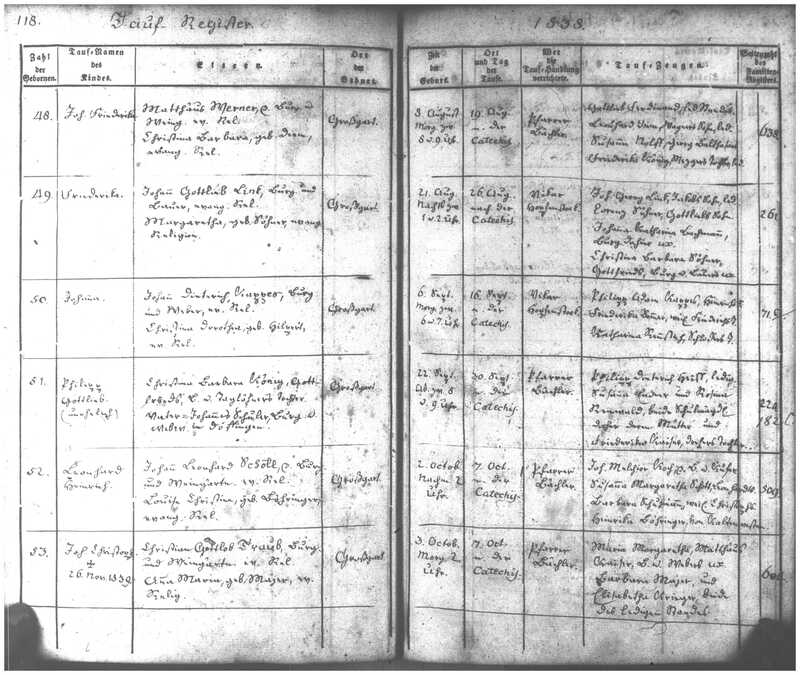 Below is a Family Register entry for his family. These are wonderful records, kept on every family in the parish. They list the parents, occupations (here Leonhard is listed as a factory worker) their grandparents, and each of their children. The children’s births, confirmations and deaths might also be listed. Leonhard and Christine had 9 children. Three of them died as young children. My Great Grandmother, Caroline, is listed here as the second child. I’ve spend hundreds of hours pouring over these church records. It’s here that I’ve discovered and met many of my thousands of German ancestors. It thrills me that these records have been kept, saved and preserved.